When I first started learning to crochet I used strictly acrylic yarns. This was mostly because they weren’t as expensive and I didn’t know if I’d ever get good enough at this hobby to invest real money into it! As time went on and I felt more confident in my abilities I started trying different types of yarn. There are so many to choose from out there! From sturdy cotton blends to the softest wools and silks you have every touched! A few months back I did a custom order for a client who wanted to use exclusively angora wool. What a delicate but beautiful yarn! I’m sure by now many of you have heard of the infamous Caron Cakes! When Caron Cakes came out last year I could not wait to try them! I had been following The Crochet Crowd for quite awhile, and when Mikey posted about them I was so excited!! 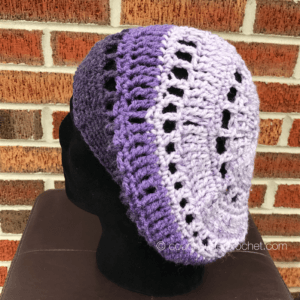 I am a huge fan of striping and color changes in my own work, and here was a yarn that promised all of that without all of the work sewing in all those ends! They were so popular when they were introduced that many stores sold out within a few days. Luckily I was able to grab a few right away to start working with. I like to pull the center pull ball out from the middle and start from there. It unravels very smoothly this way with minimal tangling. If you are buying multiple cakes for one project, just be sure to line up your “connecting” colors. You want the same general striping pattern at the “end” of one cake and the “beginning” of the next so your pattern looks crisp! I wanted to start with a scarf so I could get a good feel for how the self-striping truly worked. In my experience I found that the color changes are pretty consistent in length. I found this post on Pinterest, and knew right away it would be a gorgeous stitch that would show off the striping of the Caron Cakes perfectly! It is a wider version of the “V stitch” in my Crochet Along blanket pattern! I followed the scarf pattern until I had a length of about 60 inches. Then I whip stitched the two ends together to create a loop. I found that I still had about a third of a cake left, so I decided to make a hat too! This yarn really is quite drape-y and soft, so I decided I wanted to make a slouchy hat. I thought it would really look sharp with the self striping. 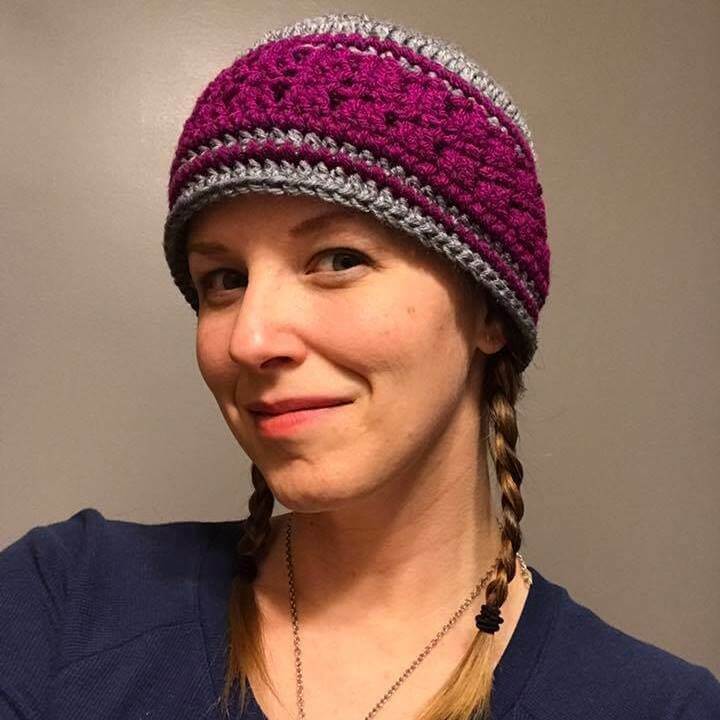 I found this pattern on Ravelry. The original design uses cotton yarn, but it works just as well with this acrylic/wool blend. I used the recommended 6.5mm (K) hook and I think the finished project is perfect! 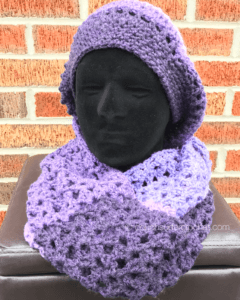 I love that I was able to get a hat and a scarf set out of just one cake! And the finished product looks so good in those gorgeous purples! I just brought home a few more color combinations that I can’t wait to try! Have you ever worked with Caron Cakes before? What was your experience like? 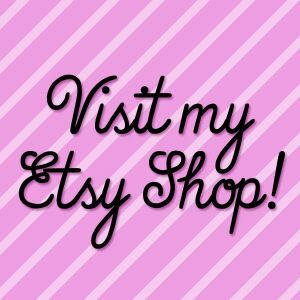 Feel free to share some of your projects with me on Instagram (@couchsurfercrochet), in the Couch Surfer Crocheters FB Group, or here in the comments!